The biggest successful environmental campaign in Bosnia and Herzegovina to date. Started in late 2004 and was active until late 2005, when campaign was backed up by local parliament decision. Government of Republic of Srpska (RS) in 2004 planned to make 2 hydro power plants (HPP) on Vrbas River, 15 and 25 kilometres upstream of Banja Luka. Public got information in late October 2004, about 5 days before Parliament of RS had to take decision on the project. Few NGOs decided to inform the public about possible impacts and in 3 days managed to collect more than 5500 signatures of Banja Luka citizens, with the goal to postpone Parliament's decision, but without success. In November 2004, the Government signed the concession contract with company HES Vrbas. In the same time, about 10 local NGOs established Coalition for Vrbas River Protection, that grew up to 36 NGOs in 2005. Soon after the contract was signed, the Coalition started to collect signatures for local referendum on this issue, and managed to reach almost 20 000 signatures in city of about 200 000 inhabitants. This was enough to push the Parliament of Banja Luka to take position against the projects in 2005. 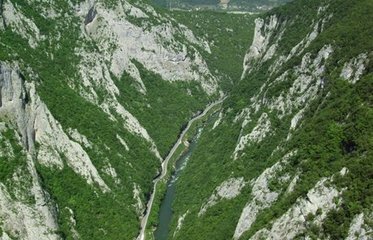 After that, both Government of RS and the company HES Vrbas withdrew their plans, as people and local government spoke against the project. In 2009, Rafting Club 'Canyon' (members of the Coalition) organized the World Rafting Championship with financial support of local government, on the stretch of Vrbas River where the HPPs were planned. After 2009 Government of RS was trying to find way out of the project, offering to the concessionaire alternative projects of HPPs in RS, but they did not accept the offer. In September 2015, the lawyer's firm representing the concessionaire put out a press release with info that the company HES Vrbas does not have intention to prolong the contract. This is the epilogue of the biggest environmental campaign in RS so far. In October 2015 the same firm confirmed that the contract is not in power any more but they also informed that the concessionaire asks for financial compensation of about EUR 23 million, for the already invested money and lost profit in past 5 years, ie after 2010, when they were planned to have HPPs operating. Environmental justice organisations and other supporters Centar za zivotnu sredinu / Friends of the Earth Bosnia and Herzegovina (and Coalition for Vrbas River Protection, that includes more than 30 NGOs from Banja Luka). Development of Alternatives Coalition for Vrbas River Protection before the agreement was signed proposed to be made comprehensive analysis of all potential of Vrbas River canyons, that were planed to be flooded. Proposal was to assess potentials other than energy, including tourism, water supply, biodiversity services, etc. Why? Explain briefly. We consider this as en environmental justice success to a large extent, although public participation tools are still not functional and the compensation request of the company is still under evaluation.